Look Good Feel Better is the cosmetic industry’s charity and has the support of over 50 leading companies and brands in the beauty industry. Workshops are held in over 90 locations around the country and more than 130,000 women have benefitted from this unique service, with over 15,500 women attending workshops and masterclasses each year. 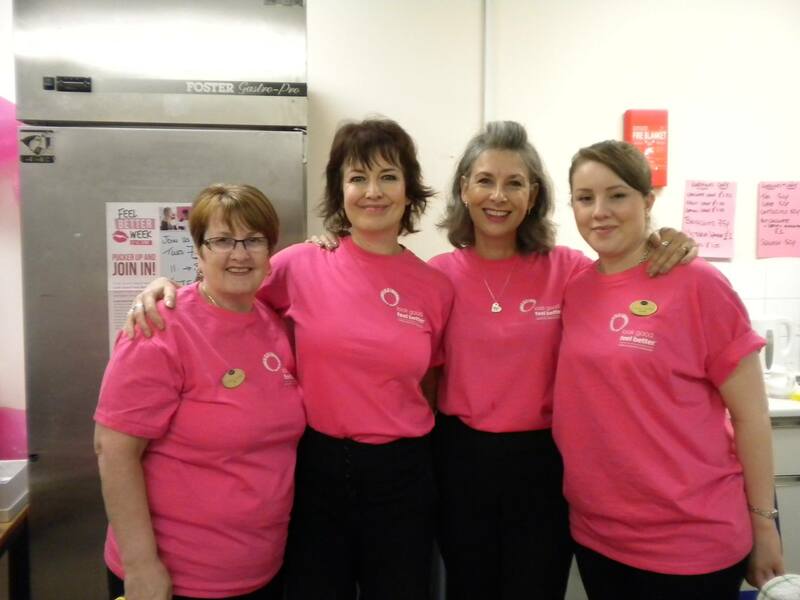 As Regional Co-ordinator for Leicester – Free Skin Care and Makeup Workshops are held at the Leicester Royal Infirmary every 3 weeks to help women combat the visible side-effects of their cancer treatment. The stress of appearance related side effects of treatment can be very hard to cope with, effecting self-esteem and confidence at a time when a positive attitude is very important. The aim of our workshops is to have fun in a relaxed environment, where you will meet new friends and learn lots of skin care and makeup tips. When you leave, you will feel uplifted, confident and will look fabulous! If you are currently under-going cancer treatment and would like to attend a workshop, please call Sue Errington at the Leicester Royal Infirmary on 0116 2585760 to book a place. Raising money for Feel Better Week at Boots Fosse Park. 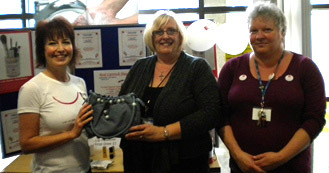 A Red Lipstick Day fundraising event at Leicester Royal Infirmary. As a remedial skin camouflage practitioner, I trained with and I am a member of the above charity. BASC was set up to help alleviate the psychological, physical and social effects that an altered image can have on people’s lives, whether it be a scar, vitiligo, rosacea, acne scarring or a tattoo; by the simple application of specialised products, this can empower people to face the world with confidence.